On the 2nd and 3rd of May 2016, at Media Convention, Fraunhofer FOKUS in cooperation with ARTE will showcase 360 degree technologies. With these technologies high-definition movies of the ARTE360-App will be shown on a dome as well as on a television. With the 360-Degree-Video-Cloud-Streaming-Solution viewers can watch a high-definition 360 degree video on an HbbTV (Hybrid Broadcast Broadband TV)-TV or mobile device, even if the end device has a low memory and limited internet connectivity. For the reproduction of videos in the form of a dome-projection, the VISCOM-researchers in close cooperation with Carl Zeiss have developed a media server for the control of multi-projector systems. The server ensures an auto-calibrated projection on any shaped surface and consists of the showplayer, screen-configurator and the showmanager. 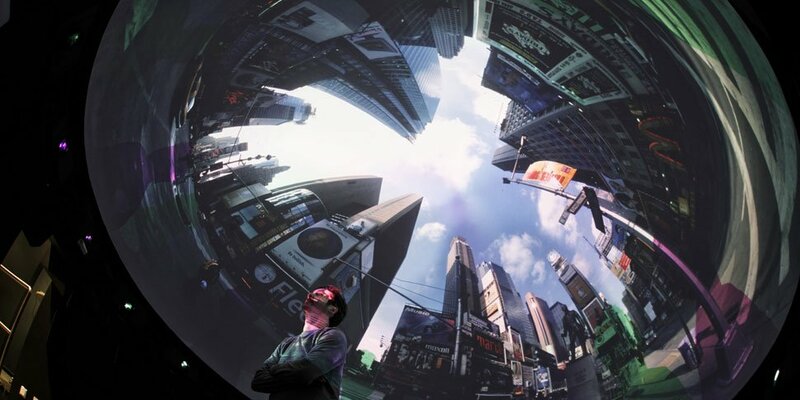 The showplayer presents the 360 degree video and provides each projector with its (part-)image. At the ARTE booth, visitors to the Berlin Media Convention can vary the angle of view with the help of a remote control and thereby realistically look around the films.